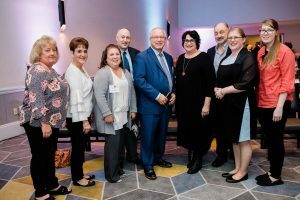 October 20, 2018 — At the 2018 Celebration of the Humanities, over 300 community and business leaders, scholars, artists, and government officials gathered in Providence to honor this year’s awardees. The Celebration’s theme – BRIDGE – is about the power of the humanities to link diverse communities, increase access to culture and education, span understanding of the past and imagining the future, connect to societal challenges, and strengthen the ties between information, awareness, and democracy. Each of this year’s honorees do this with great dedication, talent, and skill. 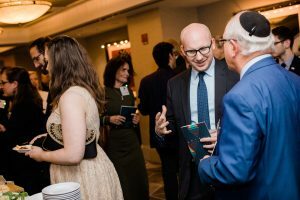 Read on for remarks from Rabbi Wayne M. Franklin, leader of interfaith dialogues and 2018 recipient of the Honorary Chairs’ Award for Lifetime Achievement in the Humanities – the third installment of a four-part In Their Own Words series. Thank you to Rhode Island Council for the Humanities for this Award. It is a great honor for me to be recognized as a bridge builder along with the other distinguished honorees tonight, who are doing extraordinary work in our community. 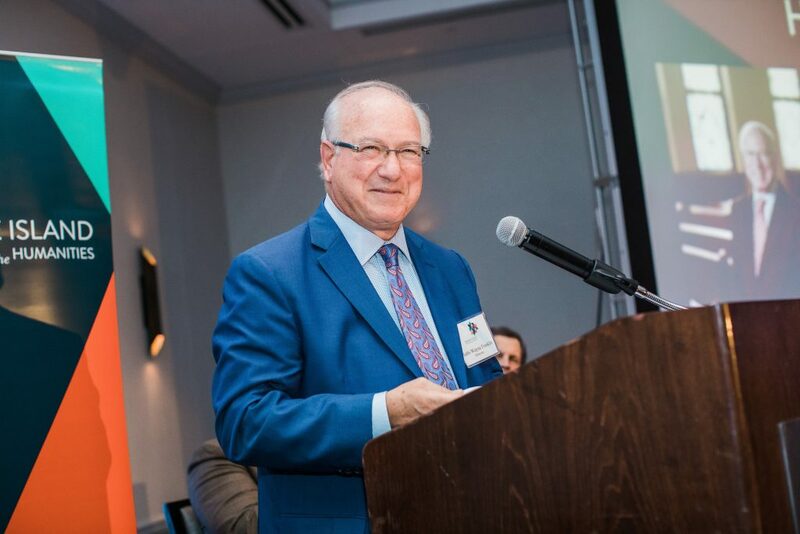 I want to acknowledge and thank the members and my friends at Temple Emanu-El, and all of my colleagues and members of our staff, who support me in my work. All of them enable me to engage in the bridge building activities I’ve enjoyed doing for so many years now. I especially want to thank, my wife, Anne, for all your loving support and appreciation for this work that I do. 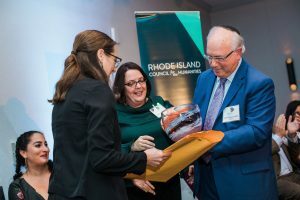 I also want to acknowledge and thank all my many partners in interfaith dialogue, here in Rhode Island and elsewhere; one does not dialogue alone. Interfaith dialogue requires people who are deeply committed to their own religious faiths, but who share open minds and open hearts. Meaningful dialogue is possible among people who are eager to learn from one another and who are interested in understanding one another. Dialogue requires mutual respect, rather than trying to convince others of the correctness of one’s position. I have been blessed and enriched to meet and learn from many wonderful people who share my interest in building bridges of understanding. The journey through life can be precarious, as we all know. In that sense, our road through life can feel like a very narrow bridge. We never know what lies ahead, or what might topple us from the bridge. Many people fear that if they engage with people whose beliefs differ from their own, they may become unmoored from their foundations and be compromised in their faith. But I like to think that bridge building can make us more secure, and less likely to experience calamity. When we build bridges between ourselves and other people, and between our own community and the communities of our neighbors, we build understanding and respect. I believe that in understanding others, we come to appreciate our own beliefs even better. I sincerely believe that greater understanding among people helps make us all more secure and less fearful of what others might say about us or do to us. Thank you for recognizing those of us who are bridge builders; the bridges we build help us overcome our fears of all that’s different and unfamiliar. I hope that our collective efforts will continue to lift up and affirm the human spirit, so that we can traverse the bridge of life with confidence, in harmony and in peace.